Saves time in delicious meal preparation! Kenstar 20 L Convection Microwave Oven (KJ20CSL101, Silver) comes with 150 pre-programmed menus and 9 power levels. The multiple power levels give you good flexibility to cook foods on your own preferences and based on particular food’s requirements. You can prepare various recipes without using the guesswork because it has 150 auto cook menus, you just need to select the preferred menu item and press the start button. Other important features are auto defrost, 30 minutes cooking timer, stainless steel interior, express cooking, large grill stand and digital job dial for all your cooking convenience. 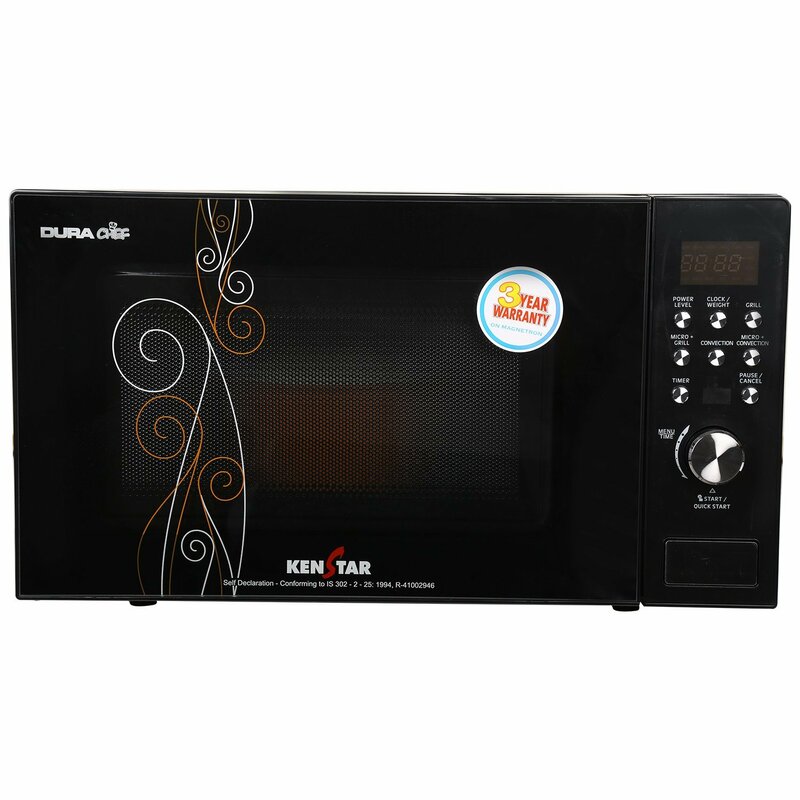 This Kenstar microwave oven is perfect for cooking foods very easily without using the guess-works if you choose from the auto cook menus. Further, Kenstar KJ20CSL101 is protected with one year of warranty on product and three years of warranty on magnetron. Kenstar 20 L Convection Microwave Oven (KJ20CSL101, Silver) has 20 liters of capacity that is really impressive capacity to cook foods for a large family. 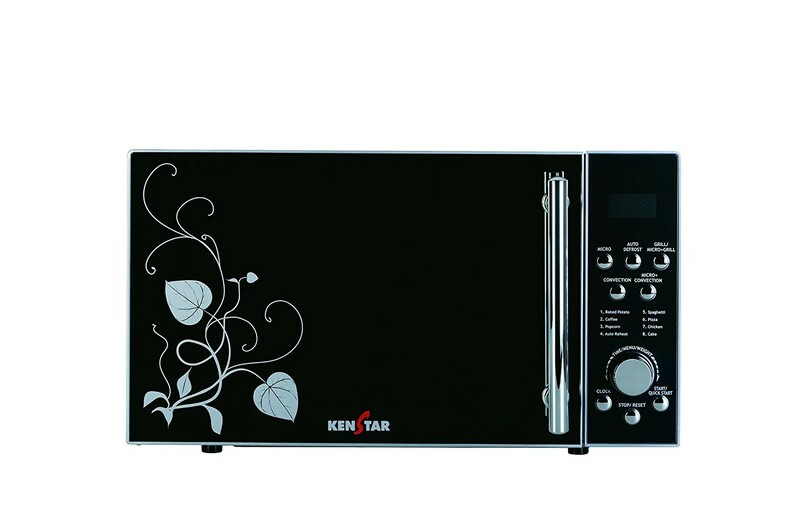 On the purchase of this Kenstar microwave oven, you also get a grill stand. MicrowaveOven.co.in shows popular microwave ovens with good quality, features and capacities. It includes various top brands such as IFB, Samsung, Onida, LG, Panasonic, Morphy Richards, Whirlpool and many others. MicrowaveOven.co.in can be very helpful to know a microwave oven comprehensively, thus it will be easy in making your buying decision.